Leeds is a flourishing city that is growing beyond belief. Ambitious redevelopments across the city are creating a prime location for investors to capitalise on the thriving region. Capturing the attention of multiple demographics, Leeds is an enticing opportunity for students as educational facilities are strong, tourists due to its diverse culture and young professionals because of an expanding business sector. Four world class universities are responsible for attracting over 70,000 students from both the UK and overseas, which is ideal for student rentals. A relentless flow of student numbers keeps the demand for property strong, leaving many properties around the city occupied, as minimal void periods stand appealing for prospective investors. Leeds is emerging as one of the major gateways for investment across the region as has been coined one of the UK’s best property hotspots for its top performing rental yields and elevated opportunity for capital growth. Soaring prices present in the south of the country leave investors and tenants disenchanted over increasing levels of unobtainable housing as prices become unaffordable for many. Therefore, even some of the most experienced investors are turning their sights up north to source greater returns and value for money, with return on investment predicted to strengthen over the forthcoming years. Investing in Leeds is an enticing prospect as the city can secure some of the most profitable returns. 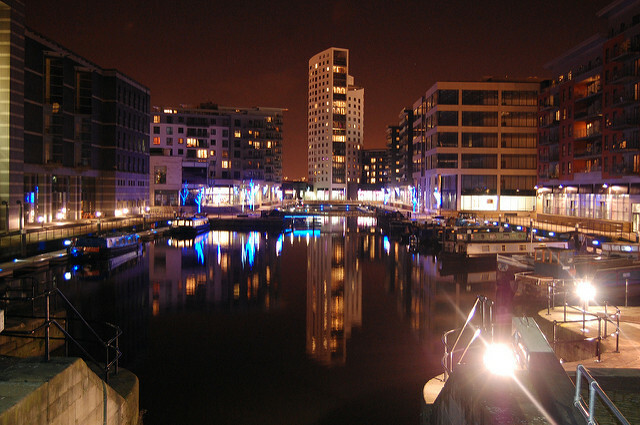 Increasing prices of Leeds property is propped up from an increased level of tourism, the redevelopment of major shopping districts, the growth in foreign and domestic business opportunities and the overall economic development from the city. The economic development of the city shows no sign of abating. As the UK’s fastest growing city, Leeds city region has an economy of £64.6 billion, which is forecasted to grow by 21% over the next decade. Capital appreciation is one of the biggest catalysts that spur on investment. In Leeds, JLL has forecasted that house prices are to increase by 21.6% from 2017 to 2021. If located in well sought-after postcodes, where business opportunities are strong and transport links are convenient, these areas remain appealing for future investors. Other areas of the UK are viewed as unstable as property prices and capital appreciation is unpredictable and rental yields are diminishing, however the city of Leeds is still an exceptionally prosperous opportunity. Investment in regeneration has truly added value to the region, particularly in the Leeds South Bank which is one of the largest and most significant regeneration and growth initiatives in the country. Private residential properties and student accommodation from companies like RW Invest that are located near determined redevelopment initiatives will be attractive investment for investors looking to build or diversify their existing portfolio. Not only does regeneration create a lucrative hotbed for investment, job prospects also help to prop up the city. With Leeds University stating that they not only want to increase their student numbers but also the calibre of their student. This is an example of a well renowned university putting a strategy in place to boost the quality of their student, with the hope of increasing a higher standard of job prospects for that individual, ultimately pulling more money back into the economy.